Sherlock figured he could withstand another thirty minutes before passing out. It was at the point he was barely registering the hits to his face anymore. However, he happened to notice that those around him were exhausted, knew they only had another five minutes before they called it a night. They would begin again in the morning, giving Sherlock little time to recover, but that was alright. Mind over matter, he reminded himself. He could do this because he was doing this for John. He closed his eyes and invited the darkness in as those trying to pry the truth from him left. The lights went out and a door shut. Sherlock relaxed, exhaling a long, low breath. Pain began to settle over his muscles, but it was muted by the white light at the end of the tunnel; by his thoughts of John, remembering what it was like to stand by his side, dreaming of what it will be like to sleep next to him. There was a speech. One that Sherlock knew would woe John, convince John of his love. It would start out with his apology, obviously. John always hoped for an apology whenever he thought Sherlock was doing something a bit not good, and well, this could be considered a bit not good. Lying. Faking a suicide. Sherlock had known it was going to hurt John, but really, it was for the best. It was for John’s safety. And Sherlock would explain all of that. Sherlock would be a hero in John’s eyes and just as soon as Sherlock saw that John was overwhelmed with relief and love and joy, he would confess those pesky three words that every person so longed to hear. Those pesky three words he so longed to say, because he knew in those moments he was no better than any other human when it came to love. In his mind, Sherlock could clearly hear John’s voice in his ears, as though he were right there next to him. It allowed Sherlock to pretend for a moment that he was back in 221B Baker Street once again. He could pretend he was hearing John whisper ‘I love you, too’ as they drift off to sleep in their bed together. A smile slid across Sherlock’s face. He kept his eyes close, his imagination taking off now. He could almost actually feel the warmth of John nestled against his chest instead of the cold, dank air in the cellar he currently was located in. For a moment, he could almost smell John, the hint of spicy body wash and cologne. The fresh smell of his jumpers. It made him think of home. What home should always feel like. Comforting. Caring. Loyal. That was his John. That was what he was fighting for. The alcohol burns as it sloshes down John’s throat. His face scrunches up as he tries to bite down a shudder. It feels good. It’s the only good he feels any more. Thinking about that day hurts like nothing else John has ever experienced, and he knows he’s experienced quite a bit in his days as a medical doctor in the army. He knows what he’s lost. He knows where it’s all led him. He knows how it all affected him. John Watson is no fool. Or at least he hadn’t been. Everything reminds him of Sherlock. The couch, the skull, the smiley face on the wall. Experiments left unfinished in the kitchen, the dust on his desk. His chair manages to look the same, like its waiting for Sherlock to come into the room and sit down. John knows he’s certainly waiting for that to happen. The only difference now is the chair looks so blatantly empty, and John can’t help but wonder if he looks the same. He most definitely feels like it. 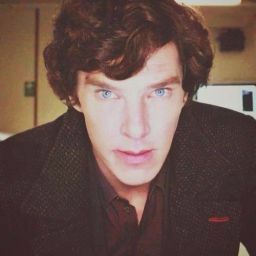 John casts his blurry gaze around the flat, his mind firmly on Sherlock. The actual physical pain that usually follows is ready and waiting, springing to life at full force. Like two years hasn’t passed. 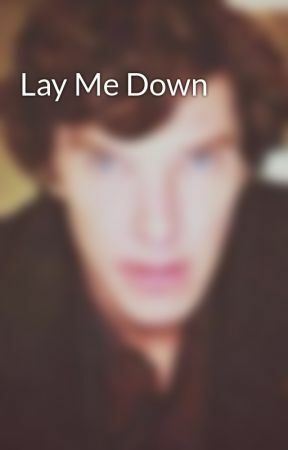 He remembers the look on Sherlock’s face, the whole image of him branded on John’s eyelids. He can hear Sherlock’s last words. Goodbye. Well, at least one of them had the chance to say it. John knew he never would, never could.